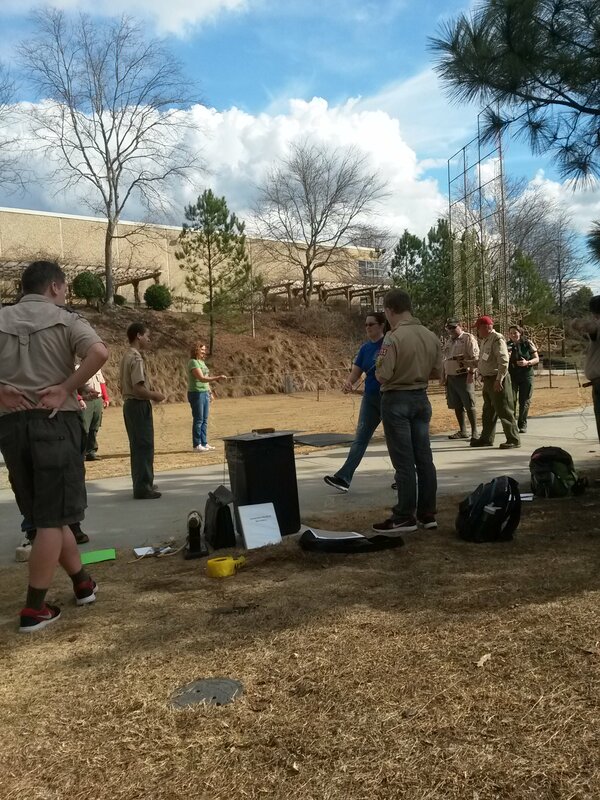 The Atlanta Area Council held its University of Scouting. I helped the new Dean of Boy Scouts, but returned from the dark side of academia to the blessed ranks of instructors. The featured image shows the Iron Chef class – how to use a Dutch oven to cook. I’ve posted the occasional dutch oven recipe on this site as well. I taught plant identification. You can get a decent guide to native trees of Georgia from the forestry commission. 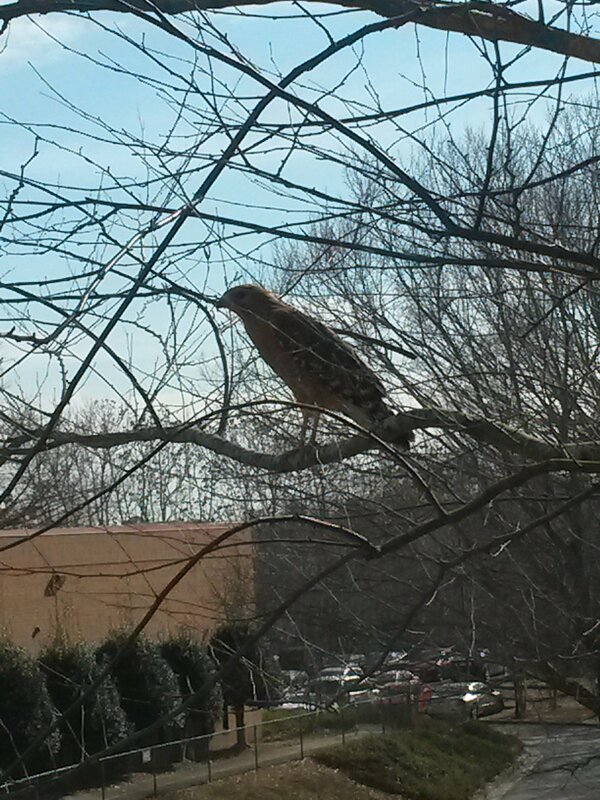 The highlight was an immature red-tailed hawk that watched us from a tree. After filling in as a substitute for a dear friend on teaching about scoutmaster’s conferences and boards of review, I helped with the advanced pioneering. 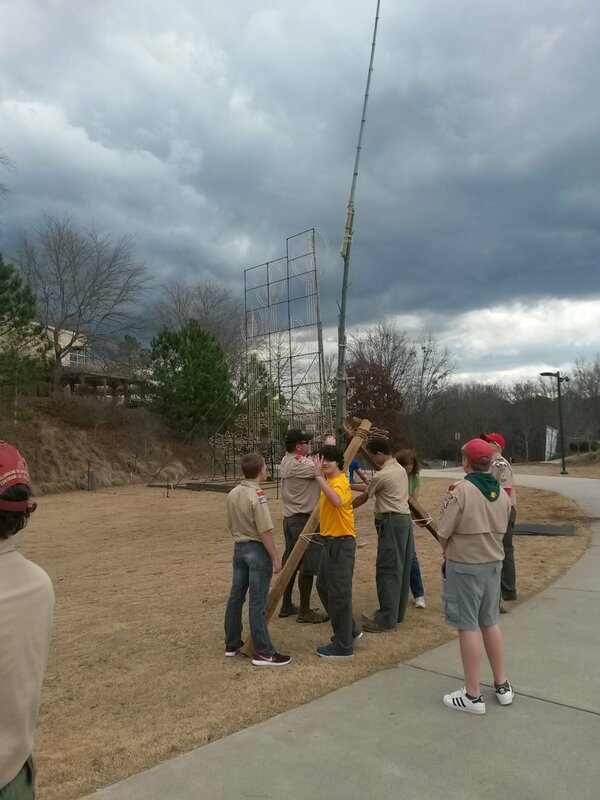 Raising a tower may replace the venerable golden ax as a camporee game. Because of leave-no-trace we don’t emphasize ax use any longer. Lashing can be done in a manner fully consistent with LNT.